Here are 10 of the most amazing RV parks across North America. Hands up if you’ve ever dreamed of selling everything, buying an RV and hitting the open road. I just put my hand down to continue typing. My wife and I have talked about it quite often. I want to buy something from Craigslist that looks likes it’s in good enough shape to get us from point A to point B, has a bedbug free bed, a working shower and toilet, and I’m happy. My wife says if we’re going to do it, we’re going to do it right with a brand new RV. This is the one she wants, made by Leisure Travel Vans. I have to admit it looks pretty nice. I have just one problem with it. It starts at $132,000 USD. We’ll keep talking. But if you’re a convert, the next thing you want to know is, “Where do we go?” There are a lot of places to drive to, and where you go all depends on what you’re into. Want summer in the winter? Put South Padre Island, Texas in your GPS. Want scenery with few people? Start driving to Westcliffe, Colorado. Here are 10 ideas for you to contemplate as you calculate your gas mileage. Hitting the open roads in an RV represents the great American travel dream for many families. 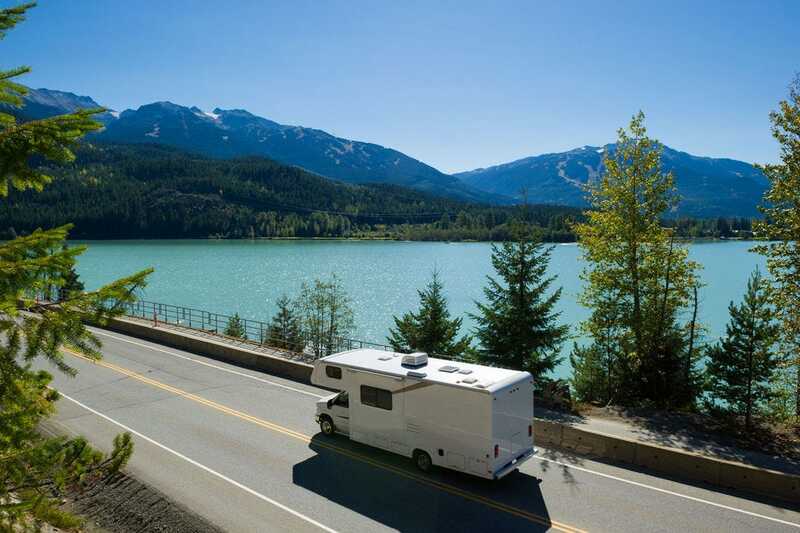 For those who choose to explore on four wheels, these 10 amazing RV parks put you amid beautiful scenery with all the extra amenities to make your stay fun, convenient and comfortable. 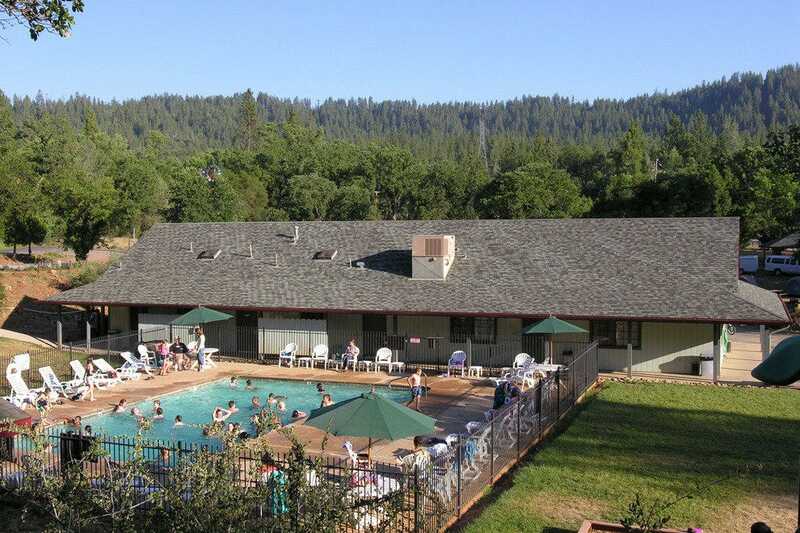 Yosemite Pines RV Resort – Groveland, Calif.
A great American national park needs a great campground, and you’ll find exactly that at Yosemite Pines RV Resort. Located just 22 miles from the Yosemite National Park entrance, Yosemite Pines offers a good alternative for RVers who don’t want to stay within the park itself. Besides a full lineup of typical RV resort amenities, this place also has a petting zoo for the kids, a gold panning site and a swimming pool. Utah is packed with national parks and monuments, including Bryce Canyon National Park, Cedar Breaks National Monument and the North Rim of the Grand Canyon. Zion River Resort puts you in the middle of it all, amid the beautiful painted mountain scenery just minutes from the entry to Zion National Park. Your stay here includes Wi-Fi, cable television, a game room and a swimming pool. If you’re dreaming of a beach vacation, drive down to America’s southernmost point in Key West, and pull into Boyd’s Key West Campground. This family-owned and operated RV park features waterfront lots with access to a boat dock allowing you to enjoying the legendary saltwater fishing in the Keys. Other extras include free wireless internet, a heated swimming pool and a beach. Durango RV Resort – Red Bluff, Calif. The beautiful grounds of the Durango RV Resort make the perfect base for exploring Northern California. The park features 11 riverfront spaces and an additional 21 water feature spaces, outdoor fireplaces, two club houses, athletic facilities for bocce ball or tennis, an onsite spa. Horsethief Lake Campground – Black Hills, S.D. If your travels take you to Mount Rushmore and the Black Hills National Forest of South Dakota, park your RV at Horsethief Lake Campground – one of the best in the state. A stay here places you near Custer State Park, Crazy Horse Memorial and Sylvan Lake as well, each perfect for a short day trip. 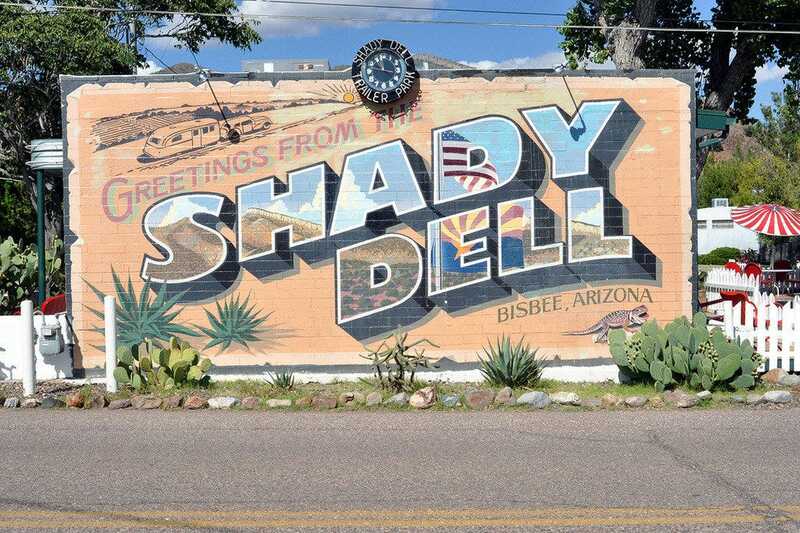 The Shady Dell – Bisbee, Ariz. If you’re not quite sure what RVing is all about but would like to give it a try, book a stay in one of the vintage trailers at The Shady Dell in Bisbee. Each of the nine fully-restored trailers are equipped with era-appropriate furniture, books, magazines and music, taking you back in time for a one-of-a-kind RV experience. Cherry Hill Park – College Park, Md. Cherry Hill Park makes the list because it’s the closest campsite to Washington, home of many of the country’s most iconic attractions. When you’re not out exploring our nation’s capital, enjoy free Wi-Fi, cable TV, miniature golf, a hot tub and an onsite nature trail. In the summer, the park offers nightly movies in its outdoor theater. RVing is the perfect way to explore the nation’s largest state, and the River’s Edge RV Park in Fairbanks represents the best of what Alaska has to offer. Visitors to the park’s 167 RV sites on the banks of the Chena River will have miles of hiking and biking trails at their disposal, as well as shuttle service into town. Rocky Knob Campground – Floyd, Va. The Blue Ridge Parkway is one of America’s loveliest drives, perfect for an RV vacation. If you need a place to stop for the night (or two…or three), make it the Rocky Knob Campground in Virginia. From here, you’ll have easy access to hiking and outdoor activities, as well as the nearby Mabry Mill and the Chateau Morrisette Winery. Tunnel Mountain Campground – Banff, Alta. 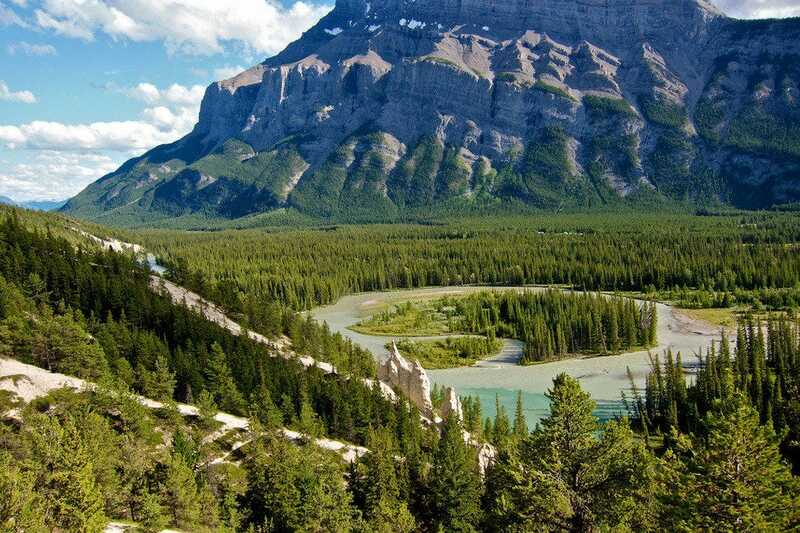 The Tunnel Mountain Campground, located in the Canadian Rockies near the charming town of Banff, makes a perfect base for skiing vacations in the winter and hiking or mountain biking in the summer. A bus stops right at the campground to take you into town. This article was originally published by 10 Best. The Best Places For Year-Round Adventure In Vancouver And Whistler.